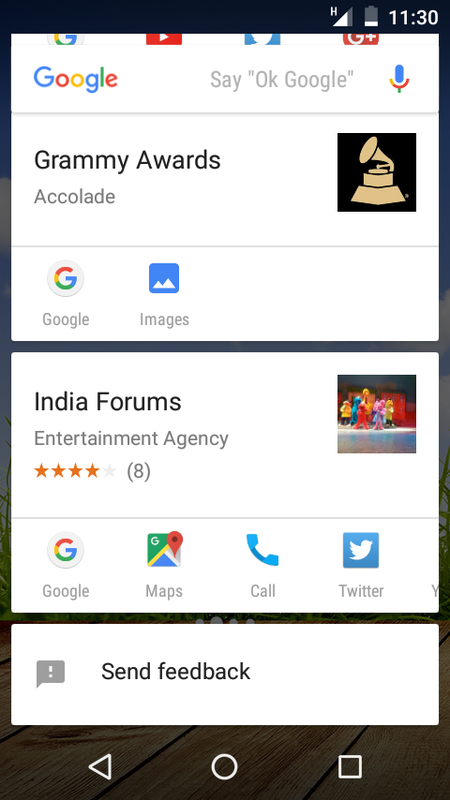 The brand new "Phone" App for Android Marshmallow OS bought a great makeover for Nexus, Android One and devices which are running Android Marshmallow or above that. 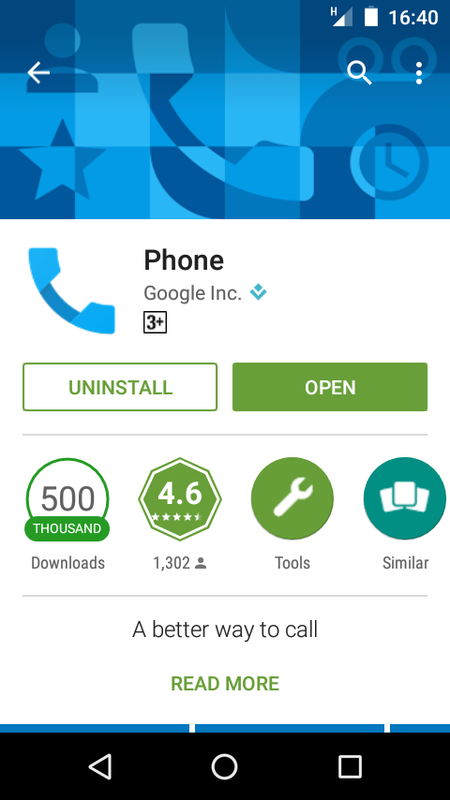 Yes Google gave a special privilege to 6.0 users by bringing some changes in all new "Phone" App version 2.3.12. Two changes which made a headline is Caller D and Call Blocking. 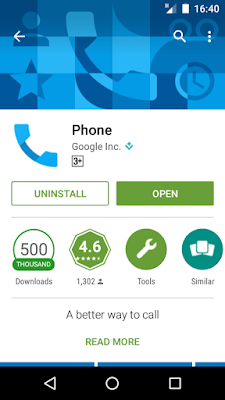 Now Google has extended its feature with 6.0.1 update of Marshmallow and now on the way to compete with probably the biggest competitor TrueCaller. Lets find out with the new updates. Version of the new update is 4.0.1290376693 a huge number !! Now you can check the warnings for the potentially of a spam caller like Telemarketer, fraudsters and spammers. You can now also report of these calls and save the community from those. Basically a good move and probably steps to take TrueCaller out of the equation as normally Phone Apps in the Smartphones are not that worthy unless provides the extra info of the caller. Phone App too also in the verge for the same but it needs sometime before to create a chunk of database to bring the exact status of the caller. As of now its having some bugs on reporting prospective we might see some more updates from Google in the App to make it perfect. Now you can know who's calling you with its Business Names which will now be visible on the calling screen along with their number, this will now going to simplify the contact list with ease. If your contact list have more then 1 guy named as "Michael" then you can separate them by adding further details on Contact List to avoid confusion, not every "Michael" works on same company and have same designation hence this will make a sense when you're talking with a right "Michael" too the business hence new Caller ID going to be a big saviour for you. Now receive a call of only whom who you wants to talk or wants to attend in a specific time. Block any unwanted call ? Then Block it, its that easy for the user of Android Marshmallow. We users basically get tired from useless marketing calls or spam hence a brand new feature is a kind of blessing from Android to its users. Although its too late for Android to understand the need of it many Mobile Manufacture though used to have this feature from their own, built in in the phone. 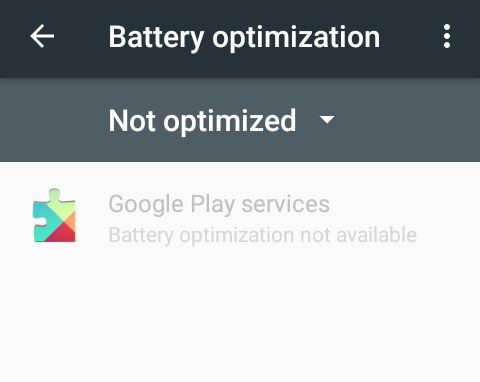 Other Android Based Phones needs to take a help from Third Party tool. But since its now released no more usage of other Apps. Currently this new feature is available in Project Fi, T-Mobile and Orange Customers. According to official info you can now view, playback and delete Voicemail from the Phone App itself. This is will going save our time in great extend as per the details given by Android, it may be in a developing mode or since its available specifically to T-Mobile and Orange hence very few specific peoples will have a access on it. 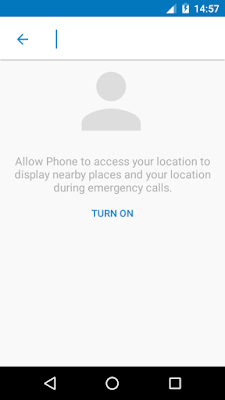 This is quite unique, now if users allow Phone App to access Location, then it will show the present location and the nearby places during Emergency Calls. Now the search option on "Phone" make more sense, rather then just searching the name from Contact book since Marshmallow don't let the app to use Location, Camera by default but users have to enable, similarly here also users must permit Phone App to use the Location hence a button is there to explore the new value added feature. It took 22 years for Microsoft to launch a Operating System like Windows 10. First of all its free for any genuine Windows 7, 8 or 8.1 users can claim Windows 10 copy but only in a time frame of 1 year (so hurry to get it for free). Part of Windows NT Family first unveiled in September 2014 then in October 2014 a Beta testing version released followed by a consumer launching in July 2015 and its volume licensing at August 2015. In the recent past we had the revolution from Windows (atleast for Windows) a Operating System without Start button. When Windows first launched their Windows 95 they claimed it as the most efficient and the most convenient Operating System to use, one start button was the solution of everything, a one stop destination to search out for any tool which is installed in the Windows. Infact Server won't be that easy if we wont have start button on it. There would be no Admin Tool to find out the Installed role in the server. Our Digital World kicked start after Windows Start, Windows 8 did bring a revolution for touch screen users no doubt but for PC or Laptop users who still uses Keyboard and Mouse for a maximum time had to struggle and get frustrate every time they have to hover for Start. Windows 8.1 bring the Start button back but they didn't win the affection back from the users as too much negativity spread out for 8. Developers knows that they need a serious workout this time so that people won't open Windows to Shut it. Windows may want people to judge their OS on 10/10 basis hence they named the brand new one as Windows 10 not 9 so that people can number Windows 10 on the scale of 10 (just kidding). This the minimum system requirement but for smooth running you must need more then double the given configuration and atleast Dual Core processor build in last few years. As Microsoft promised it will be a free upgrade to all genuine Windows 7, 8 or 8.1 users. This is really a surprising move we never thought and ever expect this from Microsoft, company who appreciate people to buy genuine products offering Windows 10 for free !! Now Windows made people excited a lot and frustrated people a lot. At May and June this year Microsoft start registering users for Windows 10 and at July they start releasing it (phase wise) but over a month time Windows took 1 step forward and get rid from the registering, now Users of Windows 7, 8, 8.1 have to make sure that they allowed the Automatic Update from Control Panel before Windows 10 users will receive a update of some 1 GB it can be considered as preparation for the grand upgrade. That update generally will be for Windows 8 and 8.1 users, Windows 7 users just needs to update a small batch file again everything its upto Windows regarding update users just needs to enable Update. As soon as you saw Windows Icon on the tray click on it, its the gateway for the free download they won't ask you to register because Windows now knows you and who you're hence Free Upgrade is a inch closer to you, its a 3 GB file which will take sometime to download according to your internet connection. Its a automatic process to upgrade your System on Windows 10 you just needs to give permissions to your system rest its totally a automatic process and will for its own. Windows 10 Home vs. Windows 10 Professional ? First question arises that which version is better for you and which one you will get. Answer is simple if you're using Windows 7 Home or Basic versions of Windows 8, 8.1 then you will upgraded to Home version (price $119) if its Surface Pro or Business PC then with Professional Version (price $199). 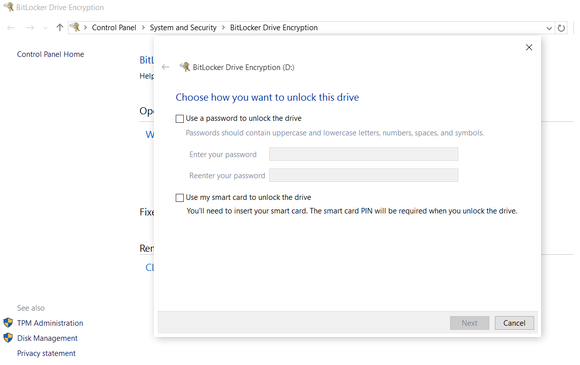 Three things which really matters is Bitlocker Encryption, Remote Access and Hyper-V.
Bitlocker will let you encrypt your data and lock your entire storage volume with a password. This way you can discourage the unauthorized access if your system found idle. You can always recover the drive if you forget the password as Bitlocker provides you a recovery key which you can save in remote places from any unseen situation. Remote Access is just like Windows Assistant in past where you can take a control of remote computers own by your friend or relative with a proper authorization. Hyper V as usual a great tool for practical purpose or for trail, it will let you test either a entire OS or Apps or Feature of it without disturbing a real machine. The most controversial move to ever take back Start menu from the Windows NT family's OS backfire Microsoft a lot. OS who made a name and fame because of Start does not have a Start button which Started a whole new debate on a bold decision taken by the developers. That move was may good for Tablets, Mobile or Touch Screen Laptop users but was dumb for PC or non Touch Laptop users what normal user gonna do ? Start is not just came back but developed quite well, a mixture of Windows 7 and 8 where in left corner you will get a list of the most frequent app along with a tile based approach of Windows 8 which keeps on living by refreshing and rotating ourself with every update they got. At bottom you will get shortcuts of File Explorer, Settings and Power option for our convenience. Power will let you Restart, Shutdown and Sleep. You can customize Start menu by resizing, rearranging and creating a groups of tile. You can Pin both modern or tradition apps according to your convenience. 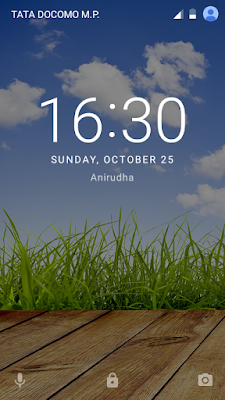 Full screen Start is meant for touch screen users only specially Tablet users and ofcourse its look great in Mobile devices but you can choose that even without Touch screen devices. Every Windows OS bring a changes in Themes, the elegant black took a centre stage of Windows 10 its decent like Windows 8 or 8.1. If you don't like the black strip then you have a option to pick accent color. Across themes you will found a minute transparency which is carry forwarding the legacy of its predecessors. Although Windows didn't added transparency in File Explorer which doesn't making it over do and making it more practical. Tips occasionally popup to guide you and familiar tool bar available at the bottom of the screen. You should see a row icon will recognize as Cortana Search Box, Task View, Funky Edge Browser, Windows Store and many more. Windows 10 Navigation improved greatly, the annoying left corner of Windows 8 removed so no more hovering all the time to switch for the Start or to Share anything. A brand new Action Center work as Notification Center which collects alerts from Apps and provide a quick access to settings. Windows Snap upgraded from what it used to be in Windows 7 and 8. Multiple Windows can be use for the opened programs if you're doing Multitasking. You can drag any app into half of your edge of the screen then OS will show other opened windows in a array for the other half. Even if you're messing up with Alt + Tab or Win key + Tab then Microsoft bring the nice little concept and that is Task Viewer. 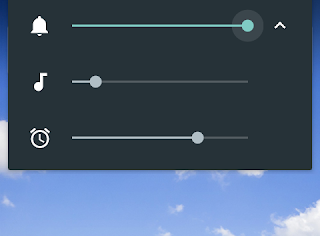 A small button for the Task Bar so that Windows 10 users go and get the active window easily. According to Windows Task View will be signifies the functionality of Alt + Tab since many not even aware of the feature. Task Viewer is also a gateway of great new feature and that is Virtual Desktops. A powerful option for users allowing you to create virtual desktops for different apps. There is no shortcuts to switch between Virtual Desktops but you can use the combination between Win key + Ctrl + Left/Right keys for getting a quick access. This brand new option must be saved many tech savvys who may be using any third party software for being a power user. Cortana is like Google Now in Android a well known digital assistant on Mobile. Same way Cortana is a presentation from Windows a digital assistant which searches anything from everywhere. Its also talks with you like you do with your assistance. Windows rather then hiding the searching tool in Start like Windows 7 or killing like Windows 8 placed it in a centre on the taskbar. A very smart move because it will ready to serve you anytime anywhere hence it need a sit in a decent place. Type anything and Windows 10 will come up with a list of Installed app, Files, Settings, Apps from Windows Store and Web results. Means Cortana is ready to help you, even if it can't answer anything then it will let edge to search for you. Cortana is a big draw for Windows 10 which can be considered the most bold part of Windows 10 it can not only ease your work on searching but can set alarm and even can take a note for you. A great work out from developers who made Windows 10 absolutely brilliant with a addon of Cortana. Another big change made to revolutionize search is that now "Favourites" has been replaced with file explorer called "Quick Access" in a left hand-pane which helps you to explore your recent worked files and folders and drives where you often glued with. Your recently viewed files and frequently viewed folders are now one step closer then what it used to be before. This means now you not requires manually pin things to the Taskbar or add folders to the Favourites section. Internet Explorer turned out to be a Edge browser. A brand new start from Windows not like a slow, insecure senile. Browsers always meant to be fast, elegant, thrilling to provides a 100% accurate result and secure connection. By seeing Edge its looks its still under construction failed to search accurate results like before. Because problem with Edge is to buckling Bing and avoiding Google. Bing can not be Google because of maximum of service is depends on Google only. Thats the result we get from Bing when we search on it because Microsoft have a tendency to avoid Google related service or shows it as a less popular and categories like that. At the other hand Google proved ourself immortal again. Hence obviously to Google you will use Chrome. Although Edge improved a lot but still for slow connection users its not a perfect at all because it keeps on looking and looking to search anything, pages won't open in a flash and even give up to load. As per some reports some pages opens in a Internet Explorer environment hence Edge will let you use the environment to become IE (though I didn't encountered like this as of now). Cortana addition giving Edge a little edgy feeling and strength because Edge is making of for Cortana and Cortana is making of for Edge. Speed, Extensions and Plugins are the most important factors to make any browser famous. Firefox and Opera is quite a famous browser but you can't say leader because they too have to work on to keeps fixing the bugs and releasing it as soon as it makes headlines at the other hand Chrome is well online and keeps getting updates as soon as it gets connection without letting the user knows about it. Their digital assistance making it the most fascinating browser in a category. Although its very difficult to make Chrome as your default browser you needs to teak some PC settings to make sure of it. Now Windows is quite strict on third party software regarding permissions and authority to let any Apps to make any easy changes. Windows 10 knows what is best for it and if something is wrong then let you know unlike in previous OS which was quite confusing for basic users prospective. In the era of Social Networks we tend to get notifications Windows 10 to follow the suite by giving notifications and let users to take some action on it. By not making people delirious Windows will notify you only when and only on particular action which the OS thinks is not good for its health. The new panel is also like Mobile settings, a shortcut type by using hotkeys we can launch any service example Wifi, Bluetooth, Battery Setting etc. etc. with a blink of a second and saving a much deserve effort. This is also a kind of value added service Windows provided in the brand new OS. Another big changes Windows made by retiring Media Centre which was the built-in application for video, music and photos. It used to handle built-in TV tuners and play DVDs, but these days very few laptops come with optical drives for playing video discs hence its not a big loss to see the future prospective. If you're dependent on Media Centre for watching and recorded contents then Windows 7 and 8 having a great option to stick. A new born Music, Films & TV is launched, except Xbox branding these are came with their own identity to avoid any further confusion which they made during Windows 8 stint. Music App combined your songs which is saved in Local Storage plus stored online in OneDrive folder. Its also integrated with Groove formerly known as Xbox Music which you can subscribe if you need it. Films & TV let you rent or buy movies from Windows Store but won't support Netflix and other third party library which is a kind of drawback like Apple having. The app is split in three section so whatever is your need to play it will tackles thing according to it. Photos app is also gone through from the transition and made a lot more useful. Automatically Image correction and smart album creation is a kind of characteristics of this app. You can use OneDrive account to simply transfer photos from one device to another device with a ease. Old Windows Photos are also there if you wants to use. OneNote is another value added feature by Windows, a multipurpose app which lets you create notes that could be either text, lists, images, maps and more with OneDrive integration it become more sensed and giving a ease to transfer files among devices. Google Calendar is now supported which means its now have a ability to use google account, with this you will never miss any important event or date once you configured it in a Android device it will be synced and will update in calendar. Mail now having ability to read everything whether its Outlook, Gmail, Yahoo Mail, Exchange. 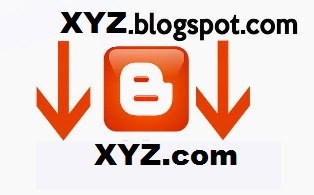 Means anything you wants to add you can and make life easier by doing this. Even Outlook Mobile App now have a ability to read or write for anything. As per reports users did find bugs while using Mail which may be sorted out as per feedbacks. Settings / Control Panel Era changed and way of customization too, Windows may bring the new era of customization but forget to pull its old Control Panel. Both are two different platforms but work as same, Settings is a brand new fashion to custom OS with unique features of its type. But either Windows don't want in a mood to pull Control Panel so quickly or either played a same game. Although having both options will confuse only rather then getting appreciation. Forced Update bad news for slow internet users you will not ables disable updates from Windows 10 Home OS because there is no option to do so. Probably another advantage to have Professional version in the house then Home version. With this move Windows indicated that they're tracking OS all the time by the name of system support type of thing Google is known for at so many years. Providing free OS is a kind of strategic planning to understand users working style, what they likes to do most etc. etc. what they believe of Windows 10 and how to proceed for the future. Currently Windows challenging lots of thefts which they're keeps on fixing by providing updates on a daily basis. As mentioned earlier Windows 8 legacy is also present in Windows 10 as Tablet Mode, simply now Windows realized that you can't shove one into other if someone don't like Touch concepts then surely their hardware will also won't be Touch hence OS like Windows 8 will party spoiler, many just downgraded to Windows 7 from Windows 8 because of tactic failure by Microsoft, they just overdo on their strategy and jumped the unnecessary two steps forward and skipped completely for what they're famous for. Windows 8 should be the upgrade of 7 and not the brand new concept. But as Windows having a tendency they burn their hands first to bring a masterpiece. Windows XP followed by Vista followed by 7 and 8 is a example of Windows Class. Windows 10 features as 2 - 1 OS, one is for conventional users and another is touch screen users, today its a time of touch and tap hence now we used to getting Laptaps in a Market, when connect with keyboard become conventional laptops and later can be use as tablet. Windows 8 functionality was not bad at all but its made of by putting touch screen in a frame of mind with a inclusion of PC type development users now more happy because they're going to get everything they want from Windows 10. Windows 10 is more a online oriented OS as each and every crucial features demands internet, entire live tile will work smoothly when you will provide internet, if you provides your email Microsoft Account then Windows will make sure all kinds of settings, configuration, contacts everything will be synced across all your device. Cortana may be the one stop destination of awesomeness in digital world but surely too much closeness with your device may cause you. Because ultimately Mobile devices are not meant for privacy, Companies do collecting datas to improve their services this is how they're and will remain in competition as they're in the field of consumer product and only consumer knows what is best for him or her. Nowhere days a rapid growth in Technology bring a lots of competition in market, everyone looking to conquer the remaining space hence developer building up a steady pace for the new technology last year only Android released their 5.0 version OS called "Lollipop" and this time its 6.0 "Marshmallow". We all are exciting about the newest OS from Android which was formally announced in August as Marshmallow, before used to known as M or Melody during Developers Version. Everyone had a 1 question in mind just year ago we had a Lollipop Update then whats the requirement to have another ? Well everyone was curious about it and Android didn't disappointed us by throwing a update sooner then later. 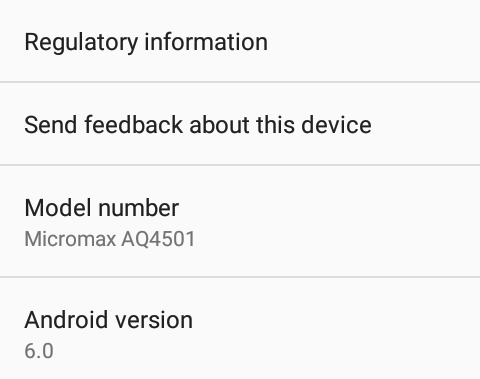 Some 3 weeks ago received a brand new Android Marshmallow update in Android One smartphone. 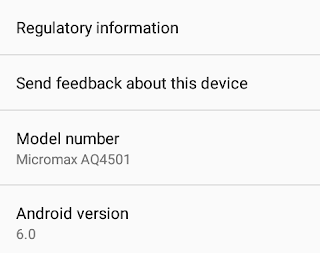 The OTA was smooth and fast and within 1 hour some 336 MB has been downloaded it was really a lightning fast experience which you never expect in India on whatever connection you having or not. Google this time must worked on their OTA so it downloaded smoothly and buttery. Before upgradation make sure you have some 400 MB space vacant in your phone storage. You will face a problem specially in Android One phones because of lower ROM so make sure you will be pre prepare before it gonna screw your excitement. First of all when you have a brand new OS you won't find enough changes because Android Marshmallow have a cosmetic changes in Material Design. There was no need of big upgradation too after 1 year because Lollipop was itself a unique and new compare to all previous OS. Whatever was missing in the previous OS is now available in the newest one. Apparently Android's Marshmallow is considered as a smartest OS Google ever launched. Android Marshmallow can be considered as a complete base of idol OS which can get further updates in near future as per feedbacks. The new OS bring the Clock stylish by redesigning it, Lollipop upped the design and Marshmallow modifies it, the pattern of the clock has been changed now, a bit different and sharper compare to what it used to be before. The Day - Date line are all in Caps which is more catchy and now you won't be mess up with it if you checking it carefully, line is bit finer in contrast then time it is now thicker and bold. Google this time concentrated in conventional fonts rather then stylish. One of the changes with this brand new OS is its Launcher before we used to scroll left and right to search out for our desired apps, this time there is only 1 page and we needs to scroll up and down rather then having page after pages. This is really something different in Android and followed up the conventional basic phones we used to grown up with, few may received the update before Marshmallow. The unlike white background continued in M also. But since we used to it we may didn't have a notice on it now. In top' 4 most used apps slots are available hence the most recently used apps makes way all the time so that you can point out it even before searching it in the menu which is quite innovative. 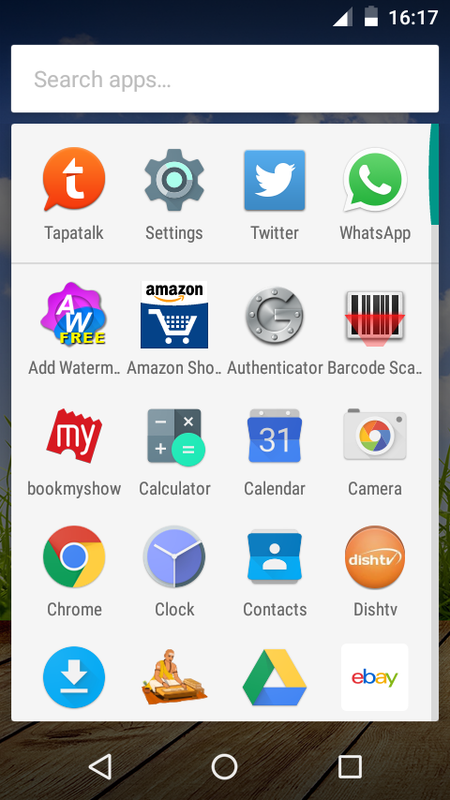 You can have a App Search Bar so that you ables to search the app by tapping its name. Over a time we did having too many apps which is quite obvious so now if we needs to search out it won't be a time consuming practice like before. 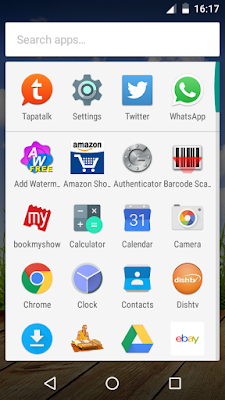 Since Lollipop organizes the Apps according to the alphabets as before there was not even have App Menu Folder. You can now thumbup and thumbdown the extreme right edge of the panel to scroll app according to its letter. For ex. 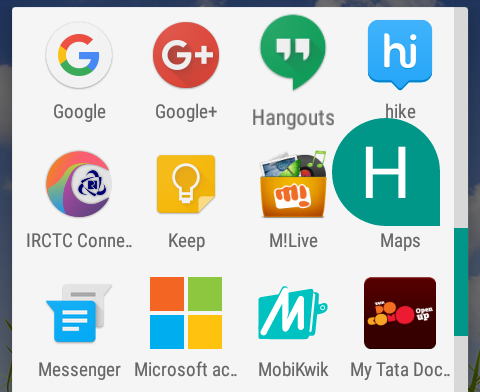 if you want App starting from "M" then scroll it upto M to find out apps which's name started from M. This is really a kind of work out from Android who took it as a project to signify the App Menu. Android One users specially used to fed up with their lower ROM, because of it nor we can't Update the Apps or can Install the new ones. Google must be notifies it and realize it that it needs a immediate solution and all new Storage Manager is the answers of all the critics. 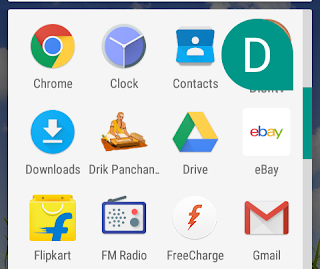 Although we can't move by default apps which comes Preinstall but we can now move the downloaded apps, before too couple of apps can be moved but not all, specially those whose primary memory sets to Phone Storage. Overall now its a kind of shy relief to all and specially for lower end smart phones. 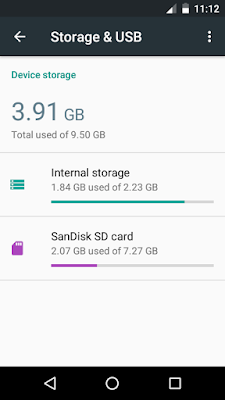 Now Phone Memory + SD Card Storage is equals to Total Storage. 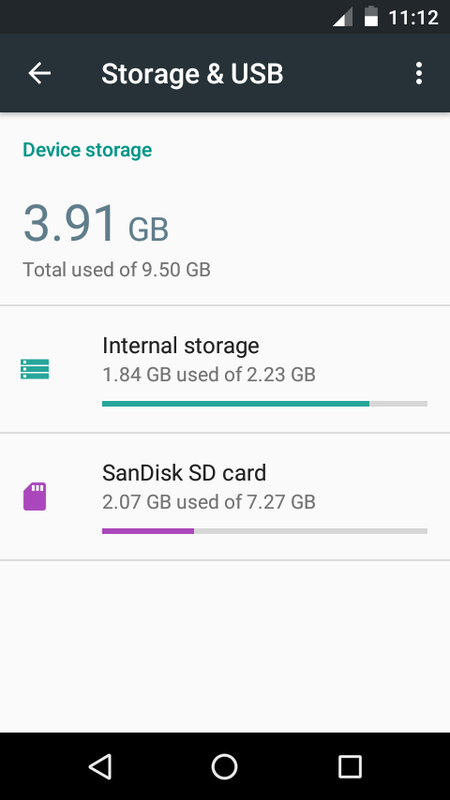 Another exciting addition from Android, it is also a type of storage manager but its to analyze your Apps nature that how much storage hungry it is, as I said it was a headache before to have so many apps to be installed in 2.23 GB space of Android One phones. Techy peoples can have a solution though but it was hard enough to go inside of every App to check whether it is movable in SD storage or not. 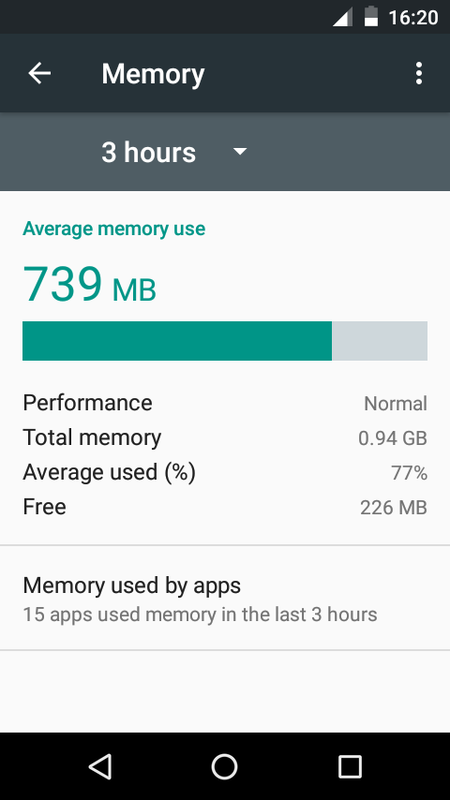 New Memory Manager is to track the exact behavior of your RAM and track to how much storage Apps is using. 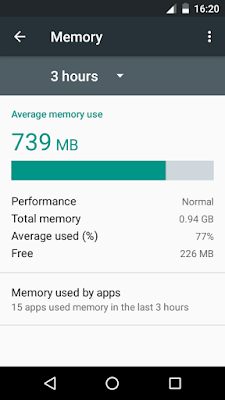 You can now analyze the RAM by a certain spam of time of last 3, 6, 12, 24 hours of usage. A pretty cool thing to have everything in details without any help of 3rd party storage. By monitoring a performance you ables to identify that when exactly things were wrong. Though still you will be end up with uninstalling / reinstalling a app if your phone gives you a serious trouble. I remember this feature used to have in Basic phones and people put a name or a custom message in the screen. 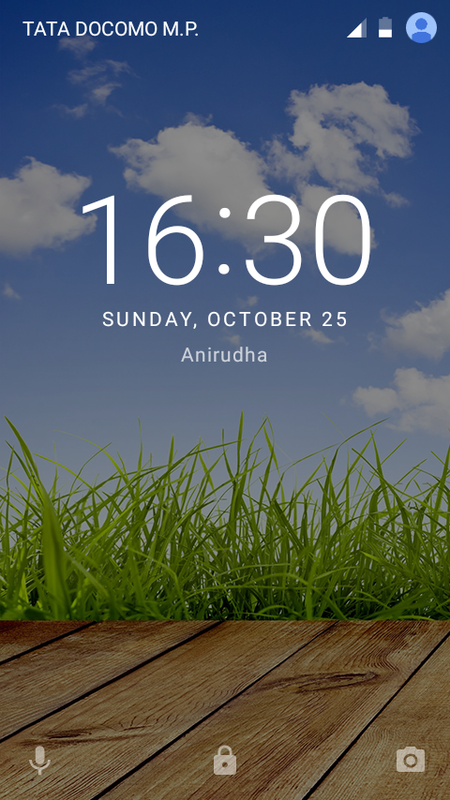 This is also a excited part of Marshmallow, a screen lock message may helps you to have a custom message or even your name. Although its a old fashion trick but kids may gonna like it and who knows it might helps you to remind Birthday or Anniversary. Unless like Date, its having lowercase and bit lighter. Its basically not a important but can be treated as another value addition, it won't disturbs you but an extra option in the screen like a front number plate of your vehicle. Lollipop had a addition called Battery Saver which made a dumb battery juicer smartphone to become smarter, battery optimization is also a link to make it smartest. Android phones faced a big criticism regarding battery life not only physically they were less from Manufacturer but also the brain OS not have any control on it to put the phone on hold so atleast even Apps sleeps when you sleeps. This new feature is let you know which app is juicing your battery and in what pace so that if you found some app which is not so important can be taken off by using this feature. 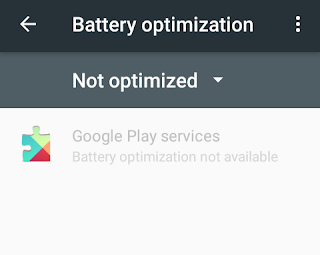 In general every App utilizes battery but you can exempt important app from this. Although Google didn't cleared enough about this new feature and it also gonna juice up the battery. So better to keep it for tracking purpose only and don't expect enough. The Volume Control is now divided into 3. As Volume, Ringtone and Alarm. The Silent mode is completely cut off and having 3 way to set your Music Profile. 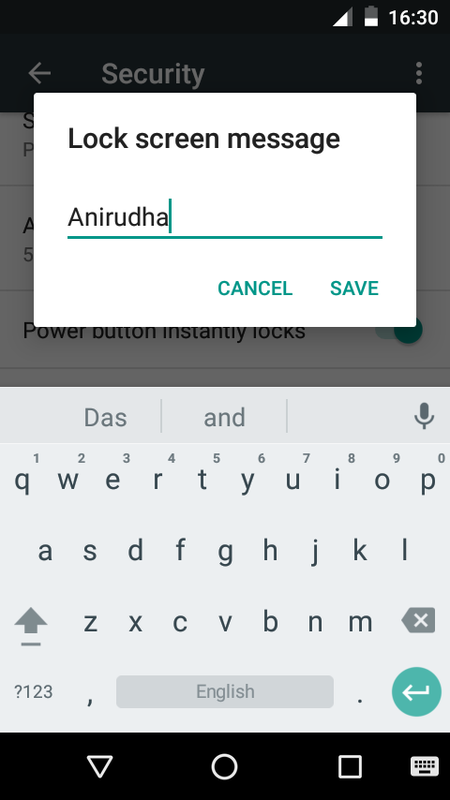 This is quite unique because many time we just messed up with personalize tab and end of switching off Alarm tone or Ringtone in various occasions. A introduction of "Do Not Disturb" is also unique though its tricky to understand first that what exactly it do. Option is available in Notification Drop Down menu let you to switch off certain alerts for a certain time period or indefinitely. 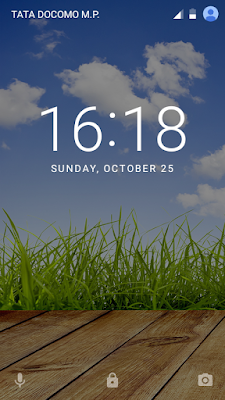 The concept is to disable certain feature for a time being. Pressing Volume key will bring out the Volume Notification. 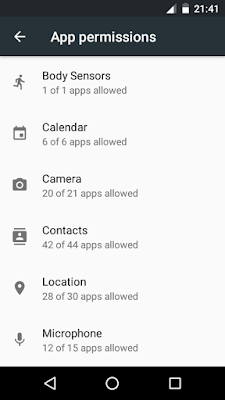 Before you used to grant the permission of any App from the installation itself, you have to agree to grant the permission of say Camera, Contacts, Storage, Location etc. otherwise app won't be install. Things has now changed. 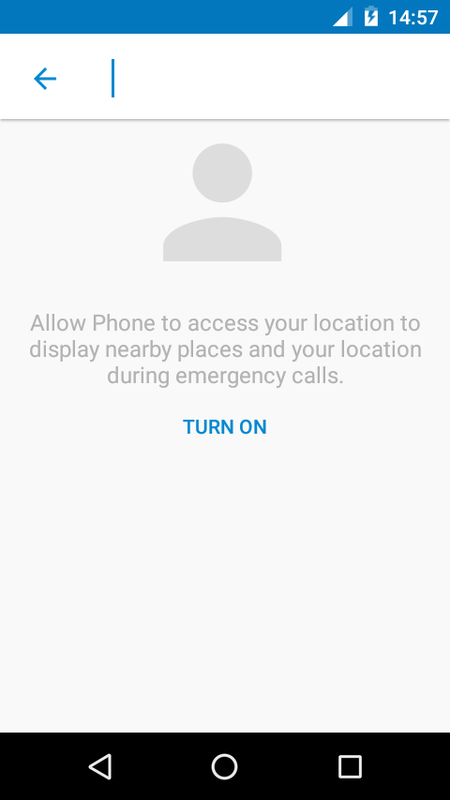 Many By Default apps are not asking for any permission during Software Update because you don't needs to pre permit any app for anything, now Apps will ask for Location and Camera whenever they requires for, this will gives you a clear idea on what Apps are doing in background and clarifies about the need. 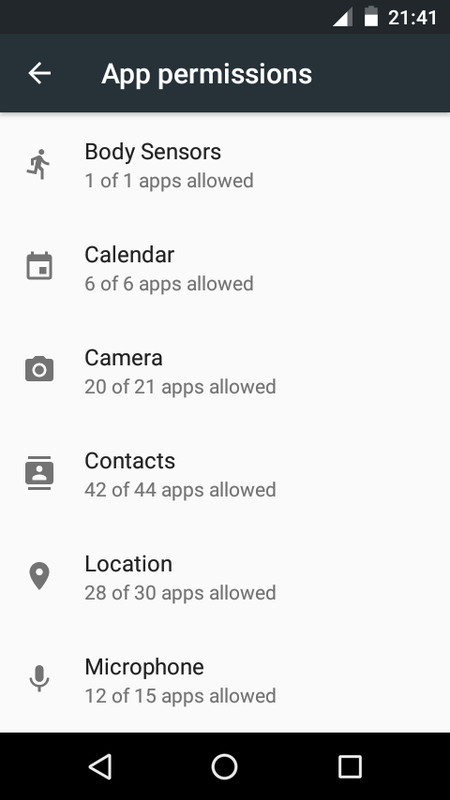 In App Permissions tab you will find the clear view of permission set for particular app. A much more clear view to understand about the background activity. In this section you will find out about all necessary things from Camera, Calendar to Location, Microphone. You can revoke them at any time whenever you feel that the particular permission should not be allowed. Google Now is the next big thing then what it is used to be before, its now your digital assistance which can talk and provides information instantly then before which was a simple Tab for searching. It can be now assigned to look for anything at anytime instantly using Now on Tap. Finest piece of this brand new Google Now is that it can be called out from everywhere, just a long gentle press of Home Button and see the excitement. Its hard to become someone's assistance util and unless you don't know about him very well. But with this brand new experience you can find your companion who will help you for many thing. Although Google Now called as revolution in digital world but there is a drawback of privacy too, we ourself know its not possible to understand each others taste until and unless we're not closely following them here also Google is refining things for you whatever you like or whatever you wants to know. But as per few documentations which gives positive response regarding Google Now as it don't promote Anti Privacy like we're thinking off. But still people should conscious with this upgraded feature of Marshmallow. Overall Marshmallow came with a cosmetic changes in Material Design but must say Android worked hard on every field and concentrated on a missing tabs. Only one File Browser which I feel is lacking although now we can look inside our Phone Storage or SD card before it was not even possible. Hope everyone enjoying the brand new Android Marshmallow do share reviews with us.